This was a series of budget priced reissues of classic Charisma LPs. 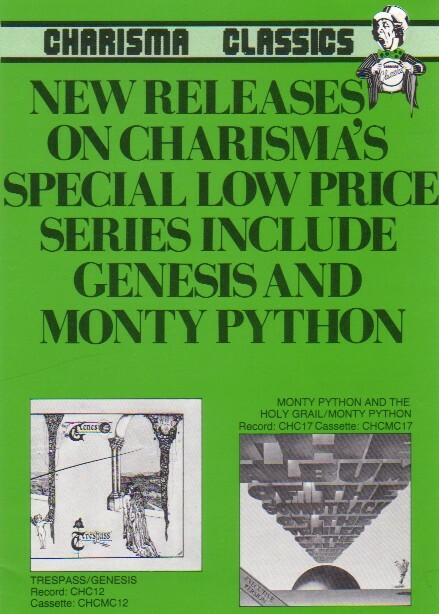 The image above is the front of a brochure advertising the series. There were no corresponding US reissues. I do not collect this series.